Enjoy two hours of networking, delicious food stations and cocktails followed by an energetic one-hour awards celebration. 2019 Maryland Cybersecurity Awards – an exciting program and event that will highlight and celebrate the best and brightest of Maryland’s cybersecurity industry. We’ll honor companies, organizations and individuals that have protected businesses and government entities with their innovative cybersecurity products and/or outstanding cybersecurity services; demonstrated exemplary knowledge, expertise, leadership and innovative thinking; or made a significant contribution to Maryland’s cybersecurity ecosystem. See below for ways to nominate, sponsor and attend. Download flyer here. The nomination deadline has passed. View finalists here. Nominate yourself or another individual, company, or organization for one of the prestigious Maryland Cybersecurity Awards. The nomination process is quick and easy, and there is no cost. Multiple nominations are encouraged. The public is invited to vote online to determine who will receive the coveted Cybersecurity People’s Choice Award from the list of Signature Award finalists here. The winner will be announced at the April 11 Awards Celebration. Nominees for the 7 Signature Awards categories are automatically entered into the judging for the Regional Award for their respective participating county. The sponsor for each Regional award will create its own judging team, establish its own judging process and select its category winner to be announced at the Awards Celebration on April 11, 2019. Note: not all counties will be presenting awards as there may be no nominees in some counties or no sponsor to host and manage the award for some counties. 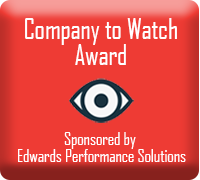 Sponsors of the Maryland Cybersecurity Awards will be in the spotlight at the prestigious Awards Celebration event as well as leading up to it. Don’t miss your opportunity to be front-and-center with the movers and shakers in Maryland’s cybersecurity community and recognized for supporting this vibrant and growing industry. Join us at the fun-filled MD Cybersecurity Awards Celebration on April 11 from 5-8 p.m. at the Maryland LIVE Hotel in Hanover, MD to discover the award winners. We’ll kick off the night with two hours of networking, decadent hors d’oeuvres and main course food stations, complimentary wine and beer (cash bar will be available) and music followed by the award winner announcements. The dress code for the evening is business attire. Cost: $125 per person. $100 early bird tickets on sale through March 11, 2019. Table reservations available for $1250. Includes 10 attendance tickets at one reserved table.